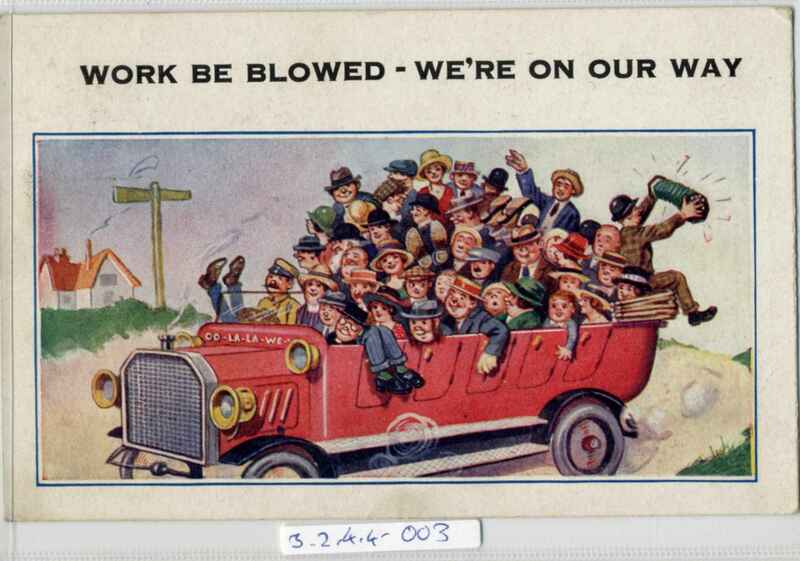 Full Description: A humorous postcard of a trio of boat-rowing holidaymakers saying "Cheerio! We're all merry and bright". One plays an octagonal many-bellowed concertina, in the row-boat "Frisky Fanny". Divided rear, postally used, franked Scarborough, 10th August 1923, Card by The Inter-Art Co., Barnes, London S.W. Comique Series, No 3904.